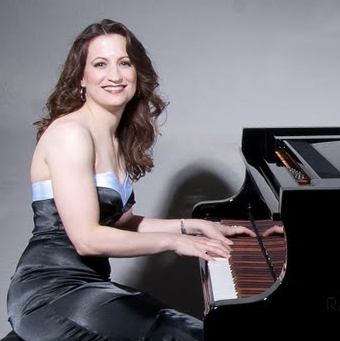 Rebecca De La Torre is a talented musician serving the Seattle & Phoenix Metropolitan areas, and arguably the most versatile singing pianist Seattle & Phoenix have to offer. As a pianist and vocalist, she can provide beautiful live music for a variety of special events including private parties, wedding ceremonies, wedding receptions, corporate events, cocktail parties, and more. 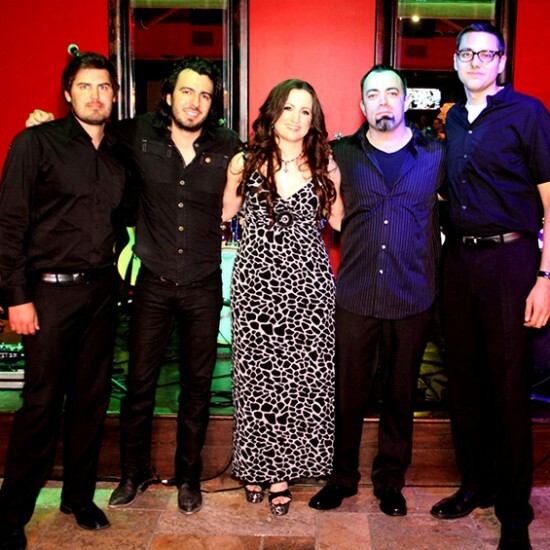 The Rebecca De La Torre band is an electro-acoustic band which is also available for the same venues, playing your favorite music as requested, including a vast variety of artists from Adele, Alicia Keys and John Legend to Coldplay, the Eagles, and jazz greats like Sinatra. Perfect Band for Corporate Reception! Rebecca was a delight to work with leading up to the event, and her band was simply phenomenal. Lively, engaging, and played songs that had everyone jamming along. So much fun! I would hire Rebecca and her band again in a heartbeat. THANK YOU! Rebecca’s band truly exceeded our expectation, they played for our wedding and it was a wonderful experience. They did our especial night unforgettable. They knew how read the audience very well and many people said great comments about them. Rebecca’s vocals were incredible and the energy and great music kept every one dancing. Rebecca was very accommodating and our guest enjoyed the band for the entire evening. Rebecca de la Torre band presented themselves in a very professional way and they were also easy to work with. I am extremely thankful for everything they did in our night and I highly recommend this amazing band for your next event. Rebecca was great! Her and her musicians were excellent, and she was incredibly easy to work with. She kept the wedding running smoothly and everyone commented on how wonderful her music was. Thank you Catherine! Your wedding was so beautiful. Thank you far letting me be a part of it! We hired The Rebecca De La Torre Band (trio) to play at our wedding reception. We were looking for something elegant, but casual, and not a dance band. She understood exactly the vibe we were looking for and couldn't have delivered more perfectly. They sounded just plain amazing. On top of that, Rebecca is a sweetheart and so easy to work with. Would definitely recommend!!! She really has a wonderful voice and the band was so easy to work with---really enjoyed having them and will do so again. Thank you, Leslie! We had a great time performing for your community and would love to come back! Rebecca De La Torre Band is absolutely AMAZING! We hired them as entertainment for our corporate holiday party. I’ve had nothing but great feedback from everyone who attended. I would most definitely have them play for me at another event! I’ve gone a couple of times to listen to Rebecca and Jorge play at a restaurant and would go anywhere to listen to them, they are great! You don’t have to worry about what they’ll play, just leave it in their hands and you’ll be very pleased, they’re also ALWAYS open for requests! We had her full band with the guitar player, who was GREAT! A couple of comments I received regarding the band were: “I loved the Mohawk! Lol” (talking about the guitar player), “Not only did his Mohawk stand out and his shoes were “hip”, my guitar playing husband thought he was an amazing guitar player! I also thought they did a good job of playing a variety of genres, including holiday music. She (Rebecca) also was easy to work with as far as the flow of things.”, and “I don’t think I have any constructive criticism, they were great!”. Thank you, Rebecca and your band!! Rebecca and her band were wonderful to work with! They were professional, flexible, and affordable. Most importantly the music and entertainment they provided at our wedding was fun, great to listen to, and enjoyed by all our guests! We were so pleased we asked them to perform on our special day! We had two members of the Rebecca De La Torre Band perform for our group of senior citizens and they were amazing! Rebecca is an extremely talented vocalist and piano player. They played great songs that everyone in the group loved. I would definitely book them again in the future! Great choice for my wedding! We used Rebecca to provide music for our wedding ceremony, cocktail hour an the band for our reception. Rebecca was very easy to work with. We met with her a few times before the wedding and she was very organized and gave us a great overview. The day she was great with leading the flow of events and worked very well with our other vendors. As the bride, I did not have to concern myself at all which is a huge bonus. On top of that, the music was phenomenal. The band plays a great variety of music and even learned a couple of new songs. Our guests were raving about the band and it was so much fun to have live music at our wedding. I would definitely recommend working with them! Thank you so much, Chela! We had a great time playing for your wedding and you picked such a great venue! Many blessings to your future together. Rebecca and her husband Jorge could not have been more talented, professional, accommodating and wonderful - they are so adaptable to all different kinds of music and did everything I requested, including learning new songs! LOVE these two! Rebecca's voice is stunning and both Jorge and Rebecca are exquisite musicians. Linda thank you so much for taking the time to give us a review! It was a pleasure to perform for you and your guests and the new songs are great additions to our repertoire. Thank you for having us!! I just want to take a moment to let you know how wonderful you and your husband made our Condominiums Annual Holiday Event a successful one. It was a pleasure to work with you over the last several months, while we were planning our event. You have always responded promptly to my emails, and been very professional to work with. I appreciate your effort to keep the songs playing back to back in the end after our raffle; to encourage the attendees to stay until the end. Thanks also for jumping in and helping with the raffle items as well. You did an amazing job. Rebecca De La Torre and her band nailed it. This was the first time that I have ever planned a party of this size and I quickly understood I had bitten a little too much off. Enter Rebecca! She took the reins on the music and ran with it. I only had to provide a little background on what we liked and she constructed the perfect party song list with all our favorites and more. They were highly professional and we had very good communication throughout the planning process. Looking back at our party it was clear that all our guests had a great time and its hard not to say that Rebecca and her band were a huge part of that. They had a great set up and worked with us to make it better that we thought it could be. Best decision we made was to hire this band. Look forward to having another event just so we can have them again. We were fortunate enough to have Rebecca and Jorge play at our daughters wedding reception last Saturday. It was a perfect evening, made all the more special for Rebecca's beautiful singing voice and lovely piano, accompanied by Jorge. My husband did much research to find just the right music for our event. We wanted something like smooth jazz, lounge music for the cocktail and dinner hours, but something we could all dance to later. He found Rebecca and her band online and was so thrilled, we engaged her for our reception that night! Rebecca pulled out all the stops for us, playing the standards and also current hits - even "Let It Go" from Frozen for the kids...they seriously couldn't contain their excitement! Nothing was too much trouble, from specific song requests, to making announcements. She and Jorge were sweet enough to continue playing long after we had originally agreed upon. We have no hesitation in recommending Rebecca and her band for any event and we will be engaging her for future events. Her range of styles is amazing, from "The Girl from Ipanema" in Portuguese to "Happy", definitely something for everyone. Thank you so much Rebecca and Jorge, your music was the icing on our cake!! Darrin & Linda, you two were a pleasure to work with. And your family was so much to entertain at the wedding. It was great having so many little ones running around - of course they would ask for a song form Frozen! Amazing, great, wonderful! Words cannot describe how perfect Rebecca and her band made our wedding! She went far and beyond. Can you imagine someone volunteer to learn a song in your native language? Rebecca sings in English, Spanish, Portuguese... and now even in Russian! We loved working with Rebecca as she gave us guidance how to better structure our reception and she also appeared to be a great MC. As we moved from outside during our reception after 10 pm per the city regulations, Rebecca continued playing till 12 am. One of her most valuable gifts is the ability to feel the audience. My fiance and I believed that our guests would prefer lounge music and songs after 10 pm. We were so WRONG! Rebecca noticed right away what exactly audience wanted and we continued upbeat dancing until 12 am. Our guests were so happy and kept asking for the new song by Lana DeLaRey "Summertime Sadness" that Rebecca learned per our request. So, if you are still not sold on Rebecca DeLaTorre's band, you should definitely find out where and when she is playing to hear her sing and play live. That is how we made our final decision. I also want to point out that Rebecca's youtube videos on her website are equal to her live singing: authentic, with no tweaking or changing the voice. Our wedding was nothing short of our dreams. Rebecca’s mesmerizing voice and captivating piano playing was as soft as a rhythmic melody, similar to birds chirping in the sunlight. The memories of our day we will cherish forever and in times we reflect we will remember the music that led to these memories being that much more endearing to us, thanks Rebecca! Excellent Experience - Wedding Guest still Raving! We had the best experience working with Rebecca and the band for our wedding. Rebecca is so professional, replies to emails promptly and provides easy to navigate contract/work sheet, but she is also a genuinely kind and caring person who was truly invested in making our wedding special. She played and sang at the ceremony, during cocktail hour and during the reception. Our guest were so impressed at her amazing versatility! Rebecca was the MC for the wedding reception and she did a fantastic job :) I am so glad that I had the opportunity to work with Rebecca, I would highly recommend her and the band to anyone who is looking for some amazing vocals and a great experience overall! I am the clubhouse manager for an exclusive private residence club called The Rocks. I must say the Rebecca not only impressed every member that was in attendance borth of the time that she was here but her warm, approachable attitude made all the difference to the personable touch that we look for here. Words could never describe what a magical evening Rebecca De La Torre's singing and piano playing made our daughter's wedding ceremony and reception at the beautiful Castle at Ashley Manor. From her heavenly rendition of "Ave Maria" for the bridal processional, to a saucy "At Last" after the new couple completed their vows, Rebecca amazed everyone there throughout the event. With only a few days to prepare, she not only sang and played 30+ songs we chose for the evening, she even learned a new song the new couple requested for their first dance, a song recently released that none of the other guests had ever heard. Amazing talent, impressive work ethic, a voice from heaven. We couldn't have imagined in our wildest dreams that the live music that night would be so perfect. Rebecca's contribution to the wedding was a blessing we will never forget. We recommend her to everybody! Rebecca and her band are Awesome! I hired Rebecca and her band to play at my Husband's 60th Birthday party at our home. Our guests ranged in age from 25-65 and EVERYONE loved her and wanted to know where I found her and where they could go to see her play again. We discovered Rebecca and her Husband playing at Ruffino's Restaurant in Ahwatukee and try to go see them as often as we can. I found them easy to work with as far as scheduling and selecting the songs we wanted ahead of time. They also took song requests which everyone loved and was impressed with. If you are looking for someone to sing a wide variety of music, Frank Sinatra, to Adele, to Journey....they can do it all and do it well! I highly recommend them! I cannot say enough about the talent and music that this band performs ! I had an art event they played for and it made the whole night ! The song selection was perfect, the music wasn't too loud, and Rebecca's voice was amazing. I expected to pay more but they were very reasonable and even played longer than we agreed to. I would highly recommend them for any event ! Rebecca has a unique sound and the ability to sing a variety of music genres. My party was very lively with contemporary jazz, R&B, and old school music. People danced and just listened to the sounds. 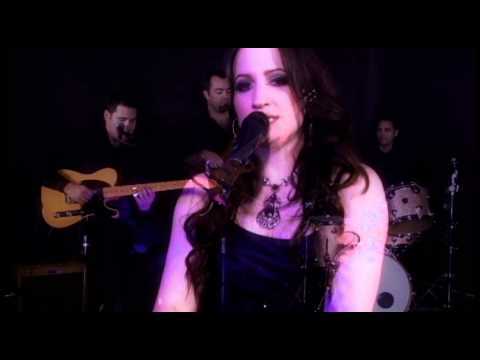 I would highly recommend this artist and her band and will contract her for future parties. Many of my guests requested her cards and I know they enjoyed her as well. This artist is very professional and handled the contract well, showed up on time, went over the music list with me and helped with the party special requests. The music at my wedding was amazing. Rebecca learned a few new songs we requested both in english and spanish. She is not only very talented but also very accomodating and professional. She is very easy to work with and will definetly recommend her to anyone wanting amazing music at their event. Rebecca was amazing when she played at our ceremony, we would hire her again without hesitation. On time with the same quality voice and skill we heard during the interview. Communication was great and Rebecca worked with us on everything we needed, making us feel comfortable and confident. Thanks to Rebecca we didn’t have to worry about a bad performance during the biggest day of our lives! Thank you again for being part of our wedding!! Rebecca performed Vocals and played the piano, highly recommended. Rebecca and her band were absolutely amazing. She was a perfect fit for our modest ceremony and private cocktail hour, and when her two band members joined in for the reception it took the party to a whole new level. We were complimented throughout the night on the music, she has a beautiful voice and a wonderful sound. She made the evening all about us and our guests, and played everything that we wanted. They even took the time to learn our favorite songs to make the evening even more special. Thank you Rebecca, you made our night! Rebecca Made the evening ! We were hoping to establish the right casual/romantic mood for the Wine and cheese event we had planned and Rebecca nailed it with her performance. Our friends have been raving about the performance and asking us to make this a periodic event. Rebecca was very flexible with the songlist and a pleasure to be around. I would recommend her to any scale of event. We are already dreaming up the next such event with Rebecca. Review by Laurie A. E.
Rebecca & her crew did a knock out job at our wedding. It was over-the-top beautiful. Ave Maria was especially gorgeous - the people at our wedding were moved beyond words. Thank you so much, Rebecca, Scott & Jorge! Rebecca played a corporate event for my company, and she was the reason a number of people stopped by and stayed. Great talent, both vocally and instrumentally. She engaged the audience with her talent, warm personality, and adaptability and was very professional. We couldn't have been more pleased. Would love to hire her again and highly recommend her. Rebecca was very professional and made the event more interesting with her range of musical talent. The clients enjoyed her talent as well and received many compliments that she was a nice addition to the event. Rebecca and Scott did a beautiful job with the music for our wedding mass! I got many compliments from guests on the music. My relatives from Mexico especially loved the entrance song in honor of Our Lady of Guadalupe. Rebecca was perfect for our event and I would hire her again. Our party's theme was "Moonlight and Martinis". Rebecca consulted us on the playlist prior to the event and was open to customizing it as well as learning new songs if required. She arrived in plenty of time, set up and was well prepared. Our guests were able to make requests as well. Everyone enjoyed her performance and I would recomend her. Rebecca was a Godsend. Her professionalism is a credit to the music community, and her talent both in singing and piano playing is excellent. I received many compliments from guests attending the event. At the last minute when another pianist backed out, Rebecca stepped in, learned five additionally requested songs performing each one, in addition to her playlist perfectly. Rebecca made the last minute wedding organization much less stressful for a mother of the bride. I would highly recommend Rebecca for any event. Rebecca did an amazing job playing and singing for our cocktail party! She was on time, her rates were reasonable, and her talent is incredible. All my guests were commenting on her performance for weeks afterward. I highly recommend this performer. Insurance: $2,000,000.00 - I have 2,000,000 liability coverage for any event we play. If you book us for an event, I can provide you with a certificate of insurance. Hire Rebecca to ensure that your event is filled with exceptional music by some of the best singers/musicians in the area that will wow your guests and help everyone to have a great time! Rebecca will work with you to arrange the perfect mix of music to suit your needs. Rebecca began learning to read music at the age of four. She performed in local music theatre productions and sang in choir at church, always having a lead role in any music production. Although she began reading music and picking out simple melodies on the piano, the first instrument she studied formally was the trombone, and became an all-state 1st trombonist all through Jr High and High School. She began studying classical voice at 15, and by the end of high school had won a variety of awards for vocal and trombone performance. While also adept at computers and math skills, Rebecca got a scholarship to attend several schools, and ultimately choose Arizona State University and received a degree in Engineering. She continued to study voice and began to study piano while working an as engineer full-time. She sang and played with latin and jazz bands, even sang with the Arizona Opera, but keeping music as a part-time job wasn't enough. Rebecca eventually left a position as a Senior Engineer to become a full-time musician, a decision she considers one of the best of her life. Signed contract and deposit required to reserve a booking. At least one grounded outlet required for instrument/vocal amplification.